This prayer Calendar is meant to encourage people to trust and exalt God through prayer & intercession. 1 Timothy 2:1-2 I exhort therefore, that, first of all, supplications, prayers, intercessions, and giving of thanks, be made for all men; For kings, and for all that are in authority; that we may lead a quiet and peaceable life in all godliness and honesty. 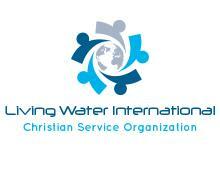 2009 Living Water International, Inc. is a 501(C)(3) non-profit Christian Service Organization.